Installing StoreApps plugins is extremely easy and the whole process can be completed in a couple of minutes – if not in under a minute! Make sure you have WooCommerce installed & activated before you install StoreApps Plugins! There are two ways to download a plugin. Step 1 : Login to My Account area and go to Downloads tab. Step 2 : From there, download the .zip file of the plugin you’ve purchased. Step 3 : Now, log in to your WordPress Website. Step 4 : Go to your WordPress Dashboard -> Plugins and click on Add New. Step 5 : Click on Upload Plugin button and then Choose File button to upload .zip file of the plugin directly. Step 6 : After uploading .zip plugin file, click Install Now button to install. Step 7 : After installation is complete, activate the plugin by clicking Activate Plugin button. Step 8 : That’s it! The plugin is now activated! Step 1 : Open your Order Complete E-mail of the plugin you have purchased. Step 2 : Under the plugin name you will see a link to download .zip file of the plugin you’ve ordered. Step 3 : Click on that link & the plugin will be downloaded. Step 4 : After download is completed, log in to your WordPress Website. Step 5 : Go to your WordPress Dashboard -> Plugins and click on Add New. 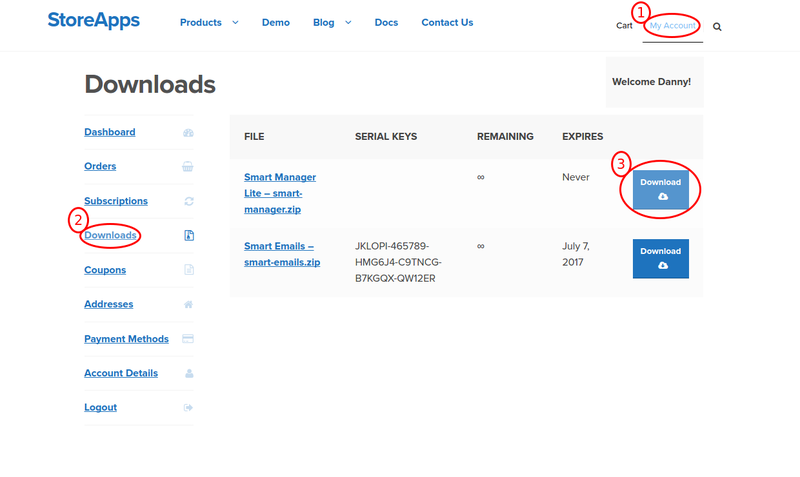 Step 6 : Click on Upload Plugin button and then Choose File button to upload .zip file of the plugin directly. Step 7 : After uploading .zip plugin file, click Install Now button to install. Step 8 : After installation is complete, activate the plugin by clicking Activate Plugin link. Step 9 : That’s it! The plugin is now activated! Most of the problems in installation are related to permission problems. The best way to resolve them is to first make sure that you can install / upgrade other plugins in WordPress. And if so, delete existing plugin folder from the server using Control Panel / FTP and then try again.